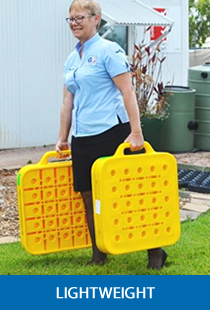 The Cranefoot is a heavy-duty plastic dunnage suitable for use in accordance with AS1418 Part 5 (Australian Standard for the design loads of mobile cranes) and AS2550 Part 5 (Australian Standard for the safe use of mobile cranes). The new Cranefoot 540 is engineer certified to 16 tonne and is now the product of choice for elevated work platforms, light cranes, borers and similar equipment. We also offer Cranefoot 550 – rated to 11 tonnes, Cranefoot 500 – rated to 10 tonnes and Cranefoot 400 – rated to 6 tonnes. 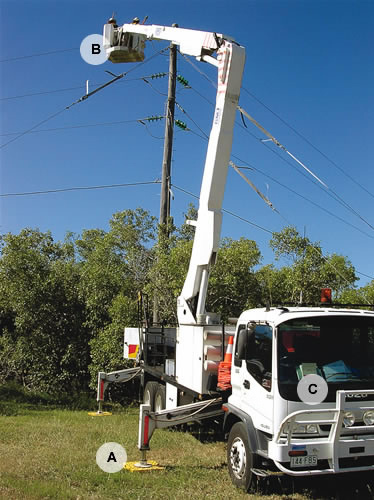 Every Cranefoot is quality tested in accordance with AS4040.3 – 1992 methodology as well as Section 11.2.6 of Qld Mobile Crane Code of Practice 2006. * Please note: Before purchase, this Deed Poll must be executed by the Customer. Finally, dunnage has come out of the dark ages. 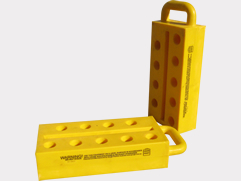 The new Cranefoot is a super heavy-duty plastic dunnage which serves as an outrigger pad. Cranefoot will not rot or splinter and has its own robust handle. 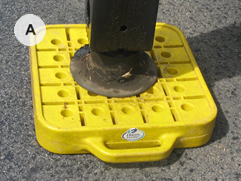 The Cranefoot design is engineered to maximise load capacity while reducing weight to make it easier to carry and safer to use. 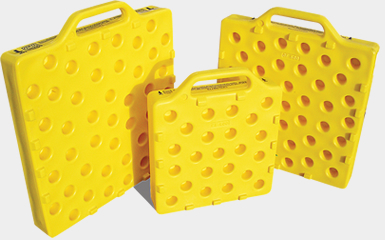 Your company logo can be incorporated into the product using tough moulded-in graphics. Your company logo could be on each product for promotion and security identification. Graphics are indelibly marked onto the product in the moulding process. They will not peel, crack, smudge or fade. They will last as long as the product! Our tough tool holster for safe and easy access. 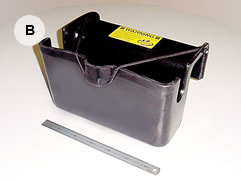 A very tough, very simple and very safe pouch for close-at-hand storage of hydraulic drills. The holster hangs on the rail of the EWP basket, keeping the tool at easy reach for the operator. The elastic retainer is designed for one-handed use, both releasing and retaining the tool. 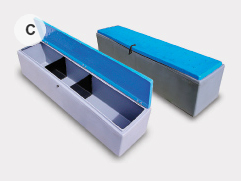 The Cabin Box ensures an ordered storage of EWP tools and ancillaries. The internal dividers separate software, hardware and fragile items, extending the life of equipment susceptible to decommissioning due to soiling, contaminants and damage. Users of Cranefoot often purchase a Cabin Box. 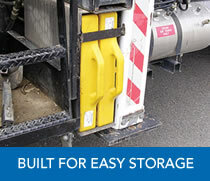 Great for putting under things and supporting loads, generators and trailer legs etc. Light-weight and easy to handle. Bright and distinctive, so it won't get lost.